Local specialty vehicle manufacturer Triune Specialty Trailers will co-host this year’s Mobile Laboratory Coalition Conference (MLCC) in partnership with the MdBio Foundation, an educational non-profit based in Maryland. The conference will be held on Wayne State University’s downtown campus from July 25-27, 2018. 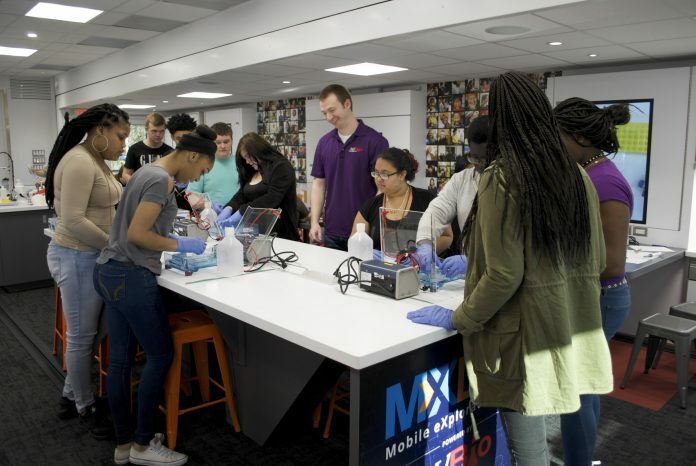 The three-day MLCC will bring together national and international manufacturers, scientists and, community activists who use or aspire to use specialty vehicles to bring hands-on Science, Technology, Engineering ,and Math (STEM) experiences directly to communities. The MLCC will feature three keynote presentations, including Robin Brewer from Detroit’s Brave Initiatives on Girls Building a Better World Through Code. Multiple workshop sessions will be offered, including an introduction of how to design and build a mobile laboratory; engagement techniques for engaging diverse learners; and program impact evaluation. On July 26 from 2:30-4 p.m., there will be a Mobile Lab Rodeo, with four specialty vehicles available for conference participants and media to tour. To learn more or to register for the conference, visit the Mobile Laboratory Coalition website at www.mobilelabcoalition.com. To attend the Mobile Lab Rodeo only, call the Triune offices at (800) 431-1400.